In 2016 ACHPER NT branch was involved in the Festival of Teaching. Through the PTANT grant ACHPER was able to provide a Health and PE stream of workshops. The three interstate presenters delivered the latest research and resources to assist the teachers of all year levels in the area of sexuality education and physical education, in particular Tennis, using a games sense and strength based approached to teaching. Dr Debbie Ollis from Deakin University presented three sexuality education sessions targeting various stages of schooling. Dr Shae Pill from Flinders University presented two sessions using a game sense approach to teaching PE as well as a session on using a strength based inquiry model of teaching. Ms Christina Ladyman from Tennis Australia also provided one session on the secondary program being implemented in schools across Australia. 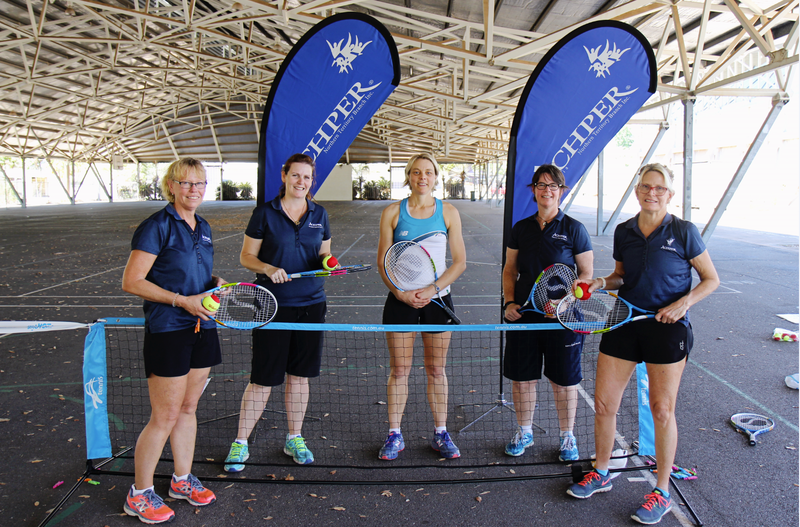 ACHPER NT Branch was also able to provide ACHPER NT branch promotional materials. 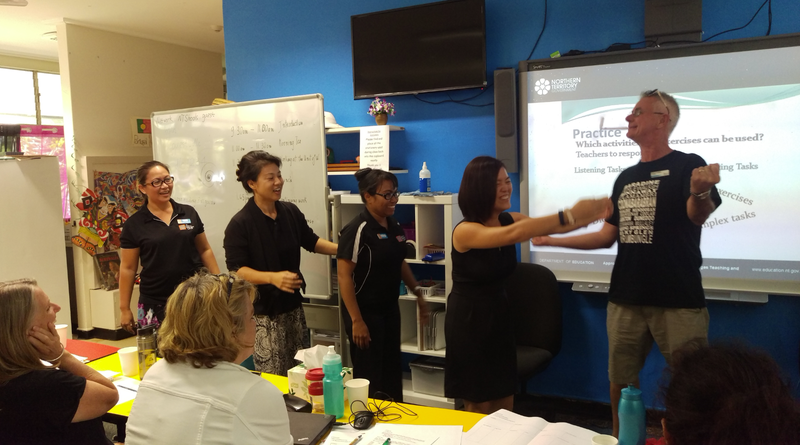 During week 10 of Term three ACHPER NT Branch delivered five Sexuality Education in the NT workshops for Primary, Middle and Senior Years teachers. True Relationships and Reproductive Health (formally known as Family Planning QLD) were the expert presenters supported by ACHPER NT Branch Executive Member, Fiona Campbell. The sessions aimed to build knowledge, skills and understanding about the importance of providing age appropriate Sexuality Education program to students. The PD also provided teachers a networking opportunity to discuss resource ideas and activities to deliver age appropriate Sexuality Education Programs. In March, the Australian Council of TESOL Association ACTA EAL/D Elaborations of the Australian Professional Teachers Standard were distributed and unpacked for participants by ATESOL NT Executive members. ACTA and ATESOL associations around Australia have elaborated each of the 7 teacher standards for the teaching of EAL/D students at the graduate, proficient, lead and highly accomplished teacher career stages. Members assessed themselves professionally against the elaborated standards and set personal goals for their TESOL professional learning needs going forward. Participants were able to return to their schools with this tool to audit the EAL/D knowledge and understandings of colleagues and staff. Three Scholarships were awarded to membership to attend the Australian Council of TESOL Associations (ACTA) International conference in April 2016. Three members were supported financially to attend the international conference in Perth. The professional learning grant was sourced to assist ATESOL NT in the offering of high quality professional learning in English as a Second Language sessions in the Festival of Teaching in August 2016. The professional learning grant was used to fund the implementation of the workshop called Put it in Writing to fund the travel and accommodation for leading presenters from the University of Sydney, NSW to lead the event. The workshop provided teachers with the skills knowledge and pedagogical practices required for teaching across the different ages and stages of schooling and the diverse range of EAL/D contexts in the Northern Territory. exemplar units of work that include explicit teaching strategies to support the teaching of writing. 'Put it in writing' (teacher resource book) is a very practical and engaging guide to teaching students to successfully meet the writing demands of the Australian Curriculum. Writing has been identified as the NT Department of education's teaching/learning improvement focus area for 2016. Funds were used to provide every attendee with their own copy of the book Put it in Writing in their teaching. ALEA Top End Council, with a grant from PTANT brought two interstate presenters to Darwin in 2016 - Beryl Exley and Alan Wright. Beryl Exley is an experienced teacher, a lecturer in teacher education at Queensland University of Technology, an author and Publications Director of ALEA. She has co-authored two grammar books for Early Years and Primary teachers - both of which provide practical strategies for the teaching of grammar which have been extensively trialled. Beryl delivered three workshops designed to develop teacher's content knowledge of grammar in the Australian Curriculum: English and to provide a repertoire of practical strategies for effective grammar teaching. Alan Wright is an experienced teacher and school leader, a poet, author and educational consultant. His book Igniting Writing: When a teacher writes is a practical resource for teachers. Alan delivered a whole-day workshop focussing on poetry and using writer's notebooks with students and presented three sessions at the PTANT Festival of Teaching. In conjunction with the 2016 Festival of Teaching (FoT), CEANT was able to bring Dr Mary McMahon to Darwin to deliver two sessions covering career theories and career counselling, as well as presenting the key note address at a FoT CEANT dinner. 36 people attended the dinner and were inspired to support student engagement in career development from a young age. The dinner was a great opportunity for members to network with other career professionals and Dr McMahon's address highlighted the important role that career development should play within the school environment. Dr Mary McMahon also delivered two engaging sessions during the FoT covering Career Theories and Practice and Career Counselling. In session one, participants were provided with an overview of career theory and its influence on career practice including career assessment. Session two covered the use of practical strategies such as story crafting questions, scaffolding, and mapping, workshop participants learnt how to construct thick and rich career stories with clients. The conference grant covered different conferences such as the Festival of Teaching, SAETA and other interstate conferences. The Festival of Teaching was held in August 2016. It provided teachers with the opportunities to engage in quality professional learning, to facilitate their knowledge and create networking opportunities. Together with the key note speakers, Dr Andrew Fuller and Mr Eric Frangeheim, a variety of presenters both from interstate and locally afforded teachers different tools, strategies and methods to help teachers to enhance their lessons and to assess tasks which catered for students from differentiated backgrounds. By having the many professional organisations under one roof, it set the ideal environment for teachers to connect and network as well. Attendees from Alice Springs included: Belinda Harding, Donna Nichols, Emily Webster, Jacqueline Sharp, and Jessica Lancaster. ETANT members also attended the SAETA conference in Adelaide in February 2016- Sam Deacon, Pushpa Vida, John Oakman, Bobbie Thomson. The conference focused on the new stage One English courses being implemented in 2016 - we will send four members again in 2017 to cover the new Stage 2 courses. ETANT members were offered $500 grants to attend national conferences. Loraine Caldwell, Pushpa Vida, Michaela Klein, John Oakman attended the ALEA/AATE national conference in Adelaide in July. Prem Naidoo attended the BEA national conference in Hobart. Each attendee brought back great ideas on how to implement the knowledge gained at these conferences which were further passed on to the relevant teachers in the NT. The award winning Sean Cousins' documentary/ film making workshop was held in Darwin in October 2016. The workshop aligned with all the Capabilities in the Australian Curriculum and enhanced language, literacy and literature. This provided the basis for a very informative experience for all those who participated. Participants, especially English and Media Studies teachers gained knowledge and skills of documentary storytelling as well as how to use equipment and digital resources. Providing high quality professional learning opportunities for teachers in Northern Territory can be a difficult task: the tyranny of distance, when trying to attract quality presenters or attending national conferences, and our small population and Association size are some of these challenges. In 2016 GHTANT has provided a range of professional learning events, in a range of forms. At a grass-roots level the Curriculum Bytes afternoon, is a regular opportunity for teachers to share their practices, professional reading and report on national conferences. The AGTA Geography Roadshow, part of series of national workshops, came to the top end and participants from Katherine and Darwin appreciated the variety of sessions which focused on primary HASS and secondary Geography concepts and skills. Our 'Thinking Historically' workshop, led by the distinguished History teacher and lecturer Dr Rosalie Triolo, was very well attended and again participants from Alice Springs, Katherine and Darwin region valued the caliber of the presentation and opportunity to interact with fellow History/HASS teachers. Finally, GHTANT contributed to the Festival of Teaching, a tremendously successful cross-association conference with local and interstate presenters and keynote speakers. Maree Whiteley (University of Western Australia), Susan Caldis (President of GTANSW) and Joanne Wegner (President of GTASA) presented sessions on Primary Students as Global Citizens, Engaging with Asia, and Sustainable Urban Places (for the new SAGE/National Curriculum Geography) as part of GHTANT's offering. GHTANT also continues to help and support its members attend the annual History Teachers' Association of Australia Conference and the biannual Australian Geography Teachers Association Conference. Through our representation at these events our members contribute to the national perspective in our curriculum areas, and bring back to the Territory new ideas and resources to share with members. GHTANT thanks PTANT for their financial assistance of a Professional Learning Grant, which has contributed to the success of our workshops and events. The focus for this year has been on providing Teach Meet opportunities with teachers in specific language groups as well as quality PD, provided by Viviana Golding the DOE T-10 languages consultant. 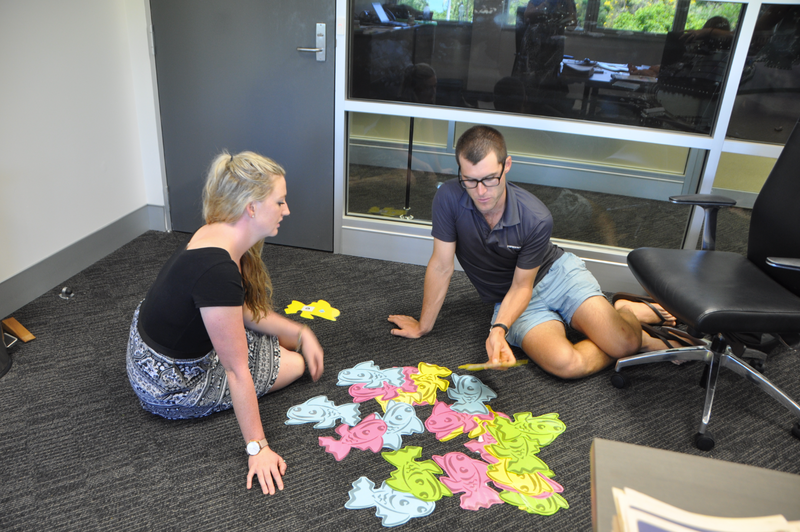 We conducted two events in both Term 1 and 2, where teachers came together to share resources and ideas. 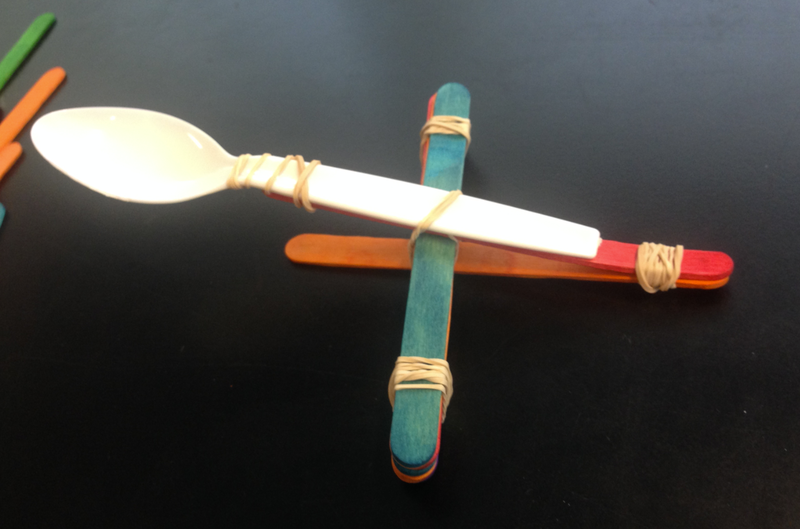 In Term 3 we organised 4 workshops for the Festival of Teaching. A major training day was held in September with Viviana Golding taking us through the Comprehensible Input methodology framed by Stephen Krashen. We further delved into Krashen’s Input Texts during the Teach Meet we held in Term 4, where we shared texts and created new ones as language groups. We have also used grant money this year to send teachers to conferences, such as the Japanese Foundation Symposium. In 2016 MTANT was involved with MathsMeet16, the annual conference of MTANT, which provided a balance between keynote addresses, workshops and informal interaction between teachers of mathematics.The MathsMeet16 program strongly aligned with the Australian Mathematics Curriculum, in particular, developing knowledge and skills in teaching the Proficiency Strands of Problem-solving and Reasoning. The keynote address presented by Associate Professor Katie Makar (University of QLD) provided teachers with strategies to assist students to efficiently design and engage with mathematical investigations and inquiry approaches. A PTANT grant was used to cover the travel and accommodation costs for workshop presenters. 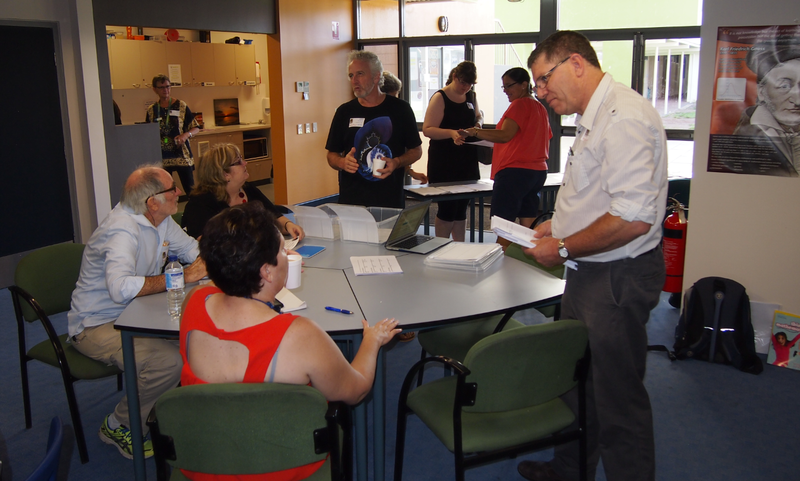 MTANT is grateful to PTANT for allowing the use of left over funds to be used for the Arnhem Mathematics Workshop, a one day Mathematics workshop held on 2 November presented by Professor Dianne Siemon (RMIT) and John Bradbury (Shepherdson College.) 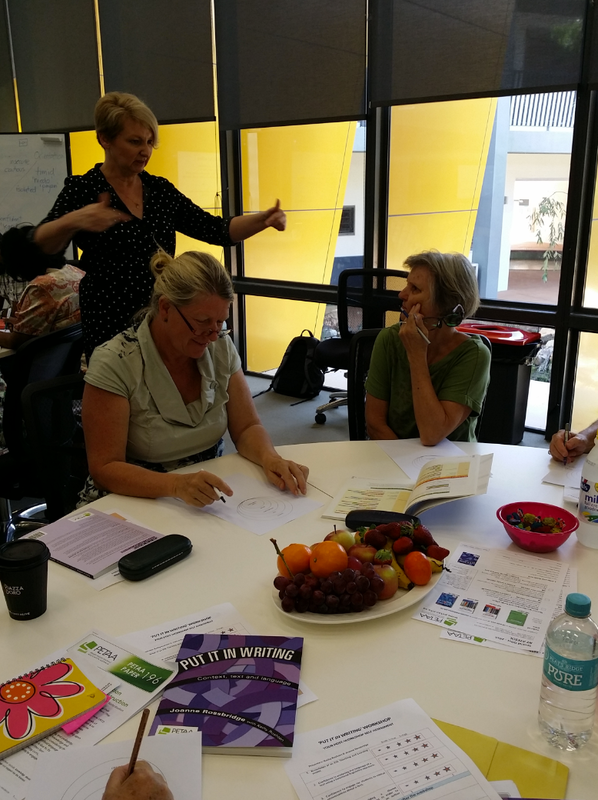 This workshop provided valuable professional learning to remote teachers and assistant teachers. MTANT promoted funding for remote and rural teachers to attend the 2016 Festival of Teaching held in Darwin. 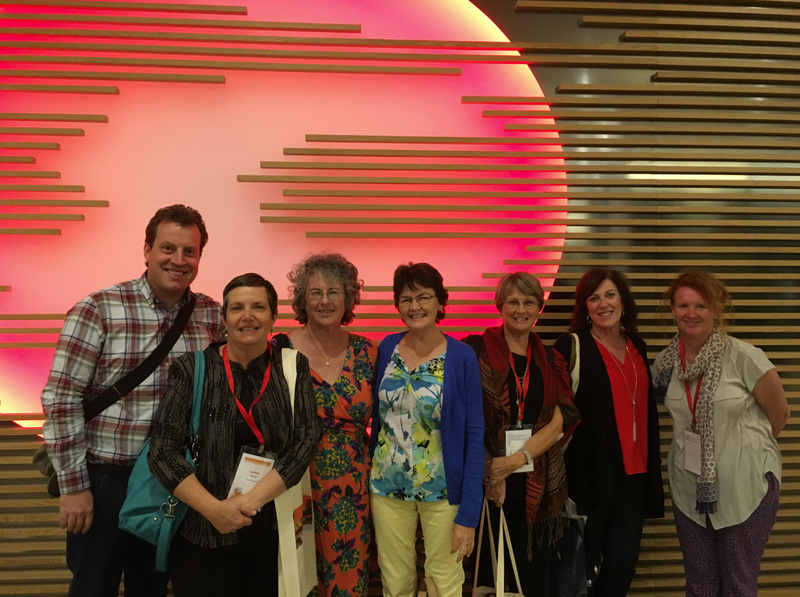 Using unspent funds from a PTANT Professional Learning grant, MTANT was able to support members from beyond the Darwin region to attend this conference. An estimated 24 MTANT members from across the Territory attended the keynotes and participated in a range of workshops run by the different teacher associations. MTANT coordinated six workshops that covered all stages of schooling. The Festival of Teaching provided MTANT members with a wider range of professional networking opportunities than is possible for an event such as the MTANT MathsMeet16 and for non-­ Mathematics teachers to access the MTANT run workshops. Through the support of the PTANT grant, travel and accommodation costs did not make it prohibitive for our remote members to attend and access high quality and relevant professional learning. Thank you to the funding of PTANT, STANT has provided quality professional learning to its members focussing on improving and empowering scientific knowledge and inquiry skills. The Young Territory Science Launch provided members the chance to network and discover the various competitions and scientific opportunities for their students. The Festival of Teaching allowed interstate Scientific organisations such as Questacon, ASELL and science Assist to attend and present. Due to the Territories vastness, professional learning scholarships were offered to members to attend CONASTA65 The Festival of Teaching, the Science Scope and Sequence workshop and STEMX Academy. Members in Alice Springs also organised a Chemistry workshop which STANT also funded. Workshops - to build on skills development and provide networking opportunities. Sponsorship assistance – to increase the capacity of urban and remote art educators to access professional development opportunities. All of these events presented professional development and networking opportunities that have led to enriched arts practises being delivered in our schools as well as being seen and appreciated by the wider community. 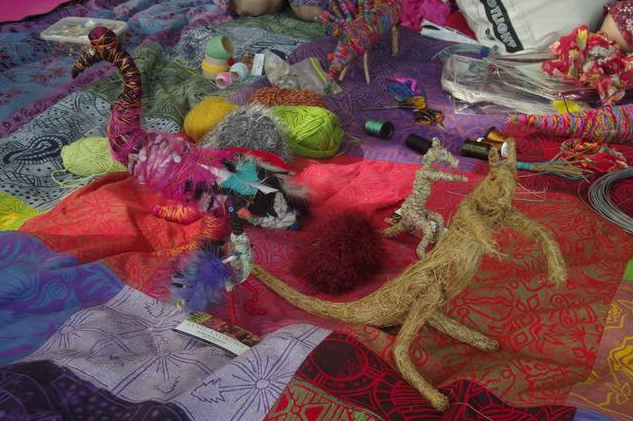 These events provide an accessible platform for arts practitioners to broaden their visual arts knowledge base, share ideas and be inspired by like-minded arts educators. In 2016, HEIA (NT) used funds from the PTANT Professional Learning Grant to provide workshops for Home Economics teachers at the Festival of Teaching and to support six members to attend the HEIA National Conference in Melbourne in January 2017. At the Festival of Teaching, Ali Stringer presented a hands-on workshop, Absolutely Raw, which gave a basic introduction to the equipment and techniques used to create a raw and plant based cuisine. Another informative workshop was from the NT Farmers Association which gave an overview of farming in the Northern Territory with a focus on sustainability and what we can buy that is locally grown. 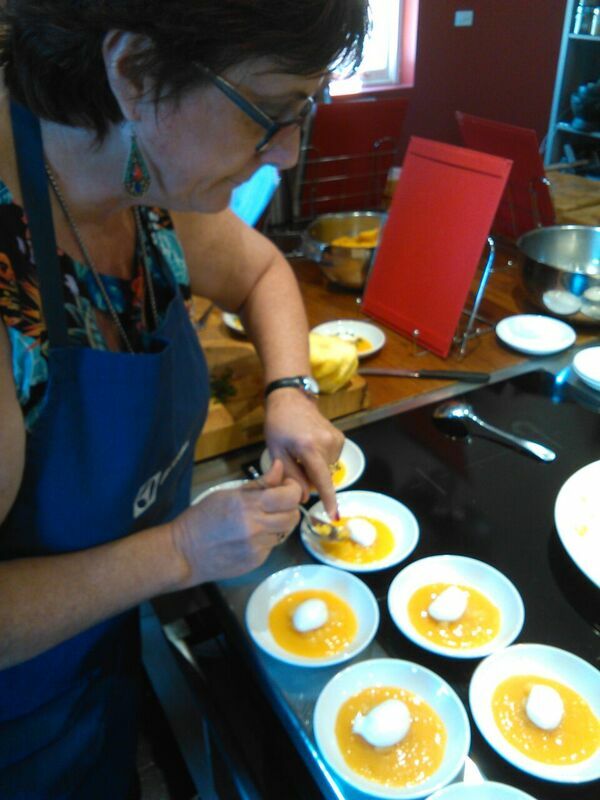 The HEIA National Conference theme was Home Economics without Borders. Conor Fennell, Carmel Glasgow, Natasha Johnston, Carolyn Knutsen, Penny McIntyre, Miriam McDonald and Jenny Unwin attended a wide range of workshops as well as the plenary and keynote sessions. All brought back new learning and insights which will be shared with members on World Home Economics Day in 2017.